The SSI Hypoxic Trimix course is the culmination of any career as a hobby dive enthusiast. The summit of technical diving will push you to your limits, but the effort is worth it! If you have successfully completed the course, the seas are yours! 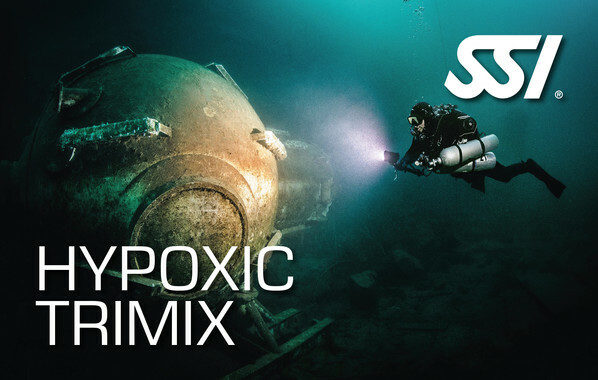 The Hypoxic Trimix offers you two options. The first one takes you to a depth of 80 meters, the second one to a depth of an incredible 100 meters. This requires at least three stages for decompression and travel gases. In addition, you must also have at least 100 logged dives!